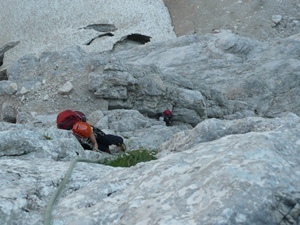 With guest Helena we set-up crossing Eiger as our main goal. 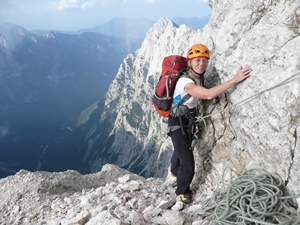 For starting tour we chose the beauty of Triglav north wall - Bavarian route with Long German route. 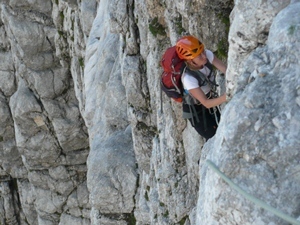 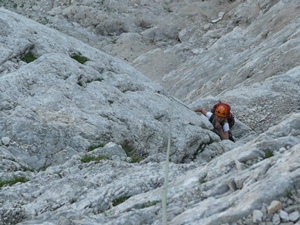 The route does not offer hard free climbing, but it is constant difficulty within IV-th grade, accordingly steep and opened. 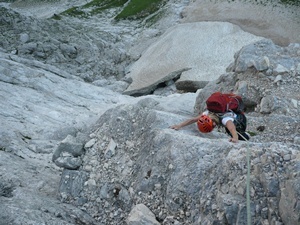 When we add the altitude of the wall 1000m, we get quite respectfull ascent!